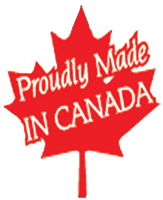 Seagrave Steel Building Systems is a Canadian family owned and operated company, established in 1982. We specialize in providing the design of CSA-A660 certified steel buildings systems through an ISO 9001 registered company. Seagrave has supplied steel buildings for a wide variety of applications including industrial, commercial, recreational, institutional and farm related structures. Seagrave offers a full line of bridge cranes and hoists to compliment the pre-engineered building system. Since Seagrave can provide you, the customer, a cost effective solution by optimizing both the building system and the crane system. We recommend some caution in considering purchasing any building whether it be farm, commercial, industrial, storage etc. All steel buildings are an excellent value with no maintenance and almost lifetime trouble free service. When choosing a steel building manufacturer, or dealing with a reputable dealer (we stress reputable) there are a number of points that you should be aware of. All buildings me not equal; in fact, some buildings do not even meet building code standards and could be a very poor investment. With steel buildings, like many things, you get what you pay for. Take time out to review the following checklist before you make your investment. you have any doubts about the, engineer, call the association of provincial engineers (416-961-1100). Foundation and reaction loads are supplied. They are required to properly design the foundation. Roof and sidewalls are a minimum of 26 gauge steel with an AZI165 galvalume coating. The roof and sidewalls are a minimum of 1-1/2 inch deep individual rib panel. All welding is done to Canadian Standard Association CSA W59. building code and snow load. Mill test reports are available for all the steel used in your building. A most recent law also requires the building is CSA-A660 certified or it would be illegal and the building department would reject it. At this time we would like to thank you for the opportunity to provide you with our quote. We wish you the best of luck regardless of whether you purchase your all steel building from us or not. Contact us today and let us walk you through the permit and design process the right way.